It keeps bringing up the wrong Facebook profile and won’t let me change it. It’s listing a profile I haven’t used in years and there’s no way to log out and sync to the correct one. Please fix!! 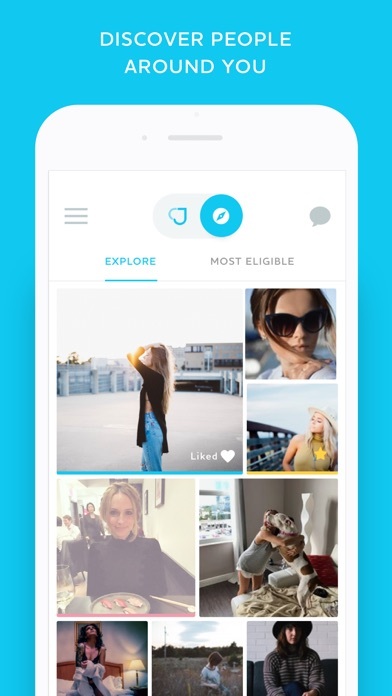 Plenty of other dating apps allow for users to create an account through email or phone number. NOT THIS ONE! You can only use this app if you have a Facebook account. I refuse to use Facebook for many reasons, so because of my lack of an account, I'm blocked from using this app. 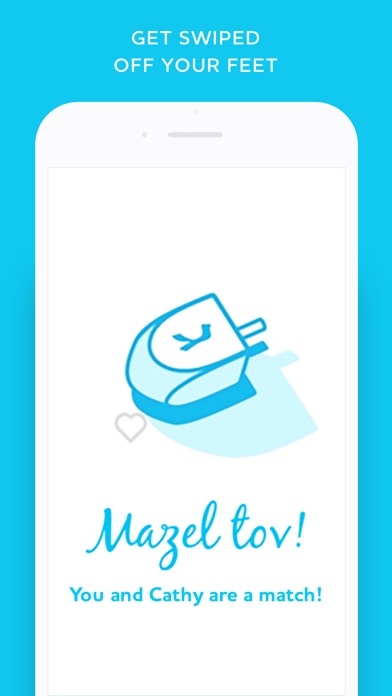 If you want to meet Jewish people, use another dating app that allows filtering by religion. Good app. Could use work. The app is easy to use. Plenty of lovely women. The only problem is that there no sound when you are alerted. Makes chatting difficult. 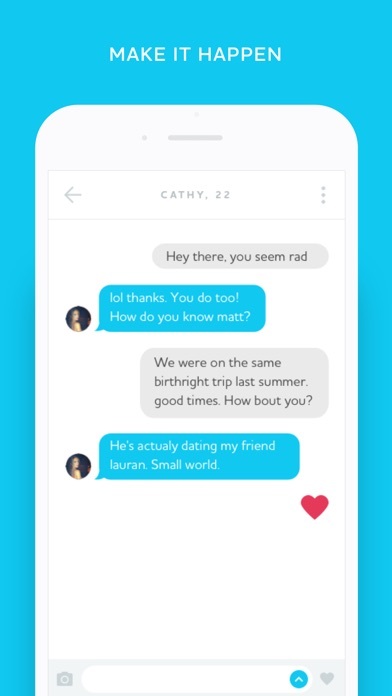 When you live in the jerusamecca of Jewish singles (NYC) and the app doesn’t render any profiles after you swipe through 5 people, you know you’ve got a monster problem at hand. No customer support, left messages highlighting problems. 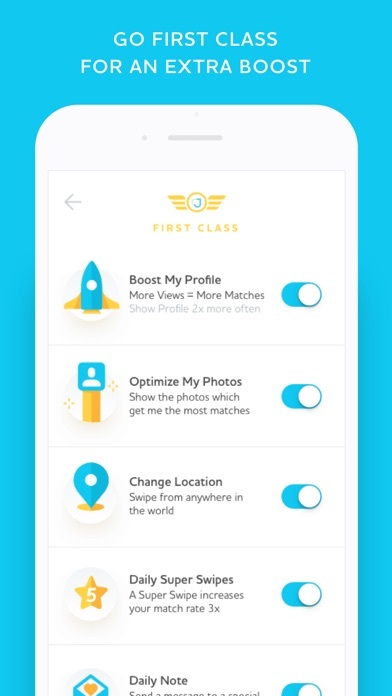 The app used to be totally reliable for being able to connect with other singles and now it doesn’t even pull up other people (not even talking about matching, just pulling up other profiles). Something has changed and this app has fallen off a cliff. Used to be at least reliable in high Jewish-populous areas and now it really doesn’t even work in New York?!? Kept charging me after I cancelled my subscription. I cancelled my subscription for this app in December and deleted the app off my phone and just saw that they’d still been charging me for 3-4 months since. Skeepy! Be careful about. I had to use iTunes support to cancel the sub. Also as an aside when I was last using the app it kept showing me the same people in my area even after I’d swiped left. I have emailed them for 2 weeks & no response. What does one have to say to get attention to not be charged for next month.. there is no turn off auto payment in settings in my JSwipe.. please get it correct & not to charge me for next month. Thank you. Can’t sign up without a Facebook. I’m one of those that does not use Facebook. Everyone is terrible because there is no chance of punishment.